The Probation Department works to insure public safety for the community and all crime victims by utilizing an aggressive 24-hour community control supervision of the offender with the latest technology and community partnerships. Through a victim-centered approach, and complete offender accountability, the agency provides comprehensive crime victims services to all members of the community, including a 24-hour sexual assault/domestic violence hotline.This provides all crime victims a voice in the Criminal Justice System. Probation prevents non-essential incarceration of adult offenders and placement options for juvenile delinquent/persons in need of supervision (JD/PINS) by providing all Ulster County courts with effective community justice sanctions and treatment alternatives.It also assists in competency development for all offenders to become productive members of the community. Family Court: All services to referred Juvenile Delinquency cases under the age of 16 or PINS cases to age 18. Pretrial Services: Release services for incarcerated offenders. Criminal Investigation: Court ordered reports. Criminal Supervision: Court ordered community supervision. 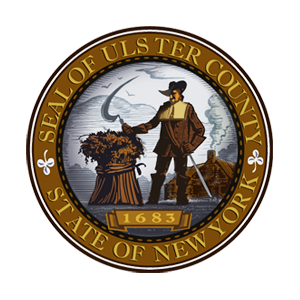 Crime Victims Assistance: Service to all victims of crime in Ulster County. Probation differs from parole in that probation is a supervision sentence imposed by a court in lieu of a jail or prison sentence.Parole is supervision imposed upon release from state prison.Probation is a County function.Parole is a State function located in Poughkeepsie at 452-0620.